Cats are cute. We all know. Everyone knows this fact well as much as hamburgers and currys are delicious. But, wait a minute. 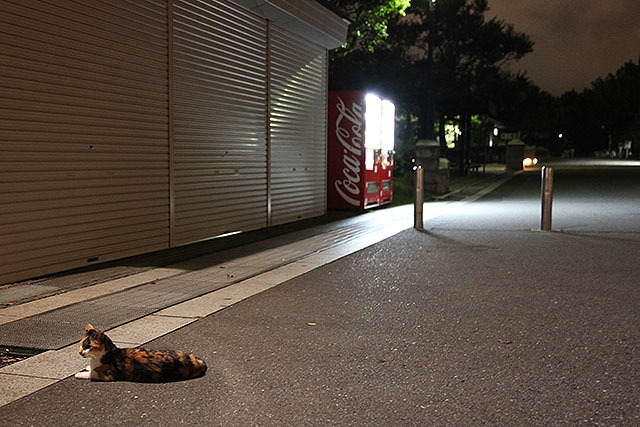 The cats seen in daytime are cute of course, but in nighttime, they are much cuter than in daytime. Did you know? So now, let me show you where this idea comes from through this article. Yes, of course the cats are cute all the time. But when you eat curry, for example, you would feel difference if you eat it on a cold day or hot day. 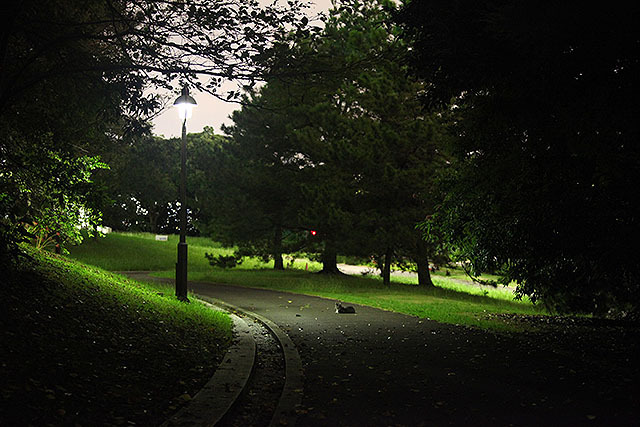 Similarly, the cats look different between daytime and nighttime. 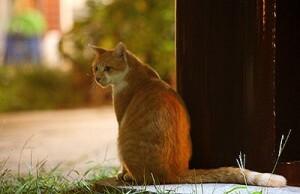 Here are some cute cats’ photos taken in daytime. 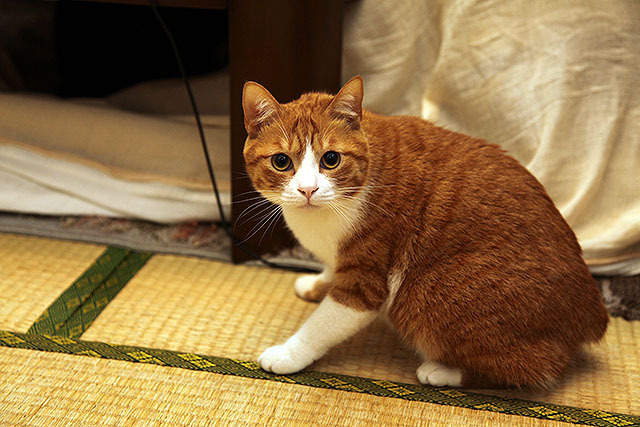 This is a writer’s cat, its name is Natsume san. This is also a writer’s cat. She is adorable, but she is a little boorish. 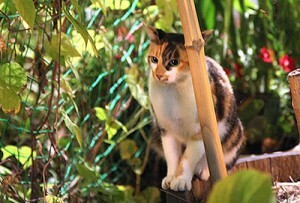 A cat found at Enoshima, Kanagawa prefecture. 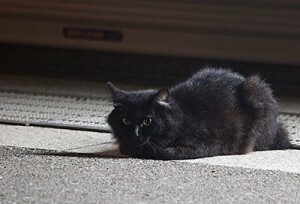 He is sitting on the road. He has a menacing look. His tongue is hanging out, it’s sweet. They are all cute, but, look at their eyes. 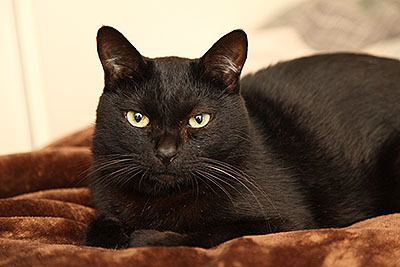 Basically, although cats have eyes that look well in the dark, they make their eyes thin in daytime in order to control the amount of light. They are controlling the amount of light like this. On the other hand, in nighttime, their pupils would be opened, and they look they have wide round eyes, it makes them adorable like this. Pupils are open. Isn’t that lovely? 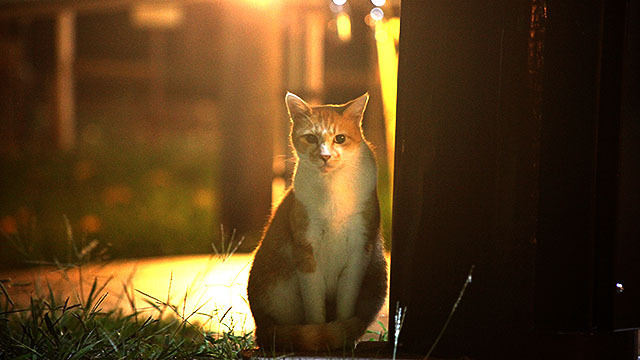 Natsume san look cuter in nighttime than daytime. 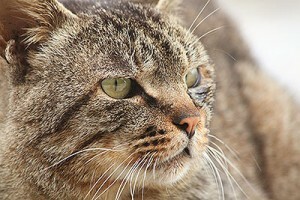 To confirm this fact, the writer went outside and took some photos of cats hanging around. 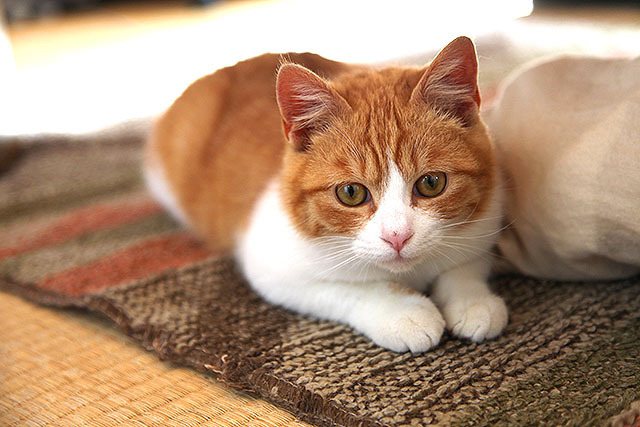 What a adorable cat! The eyes are round and bright! What are they eating for dinner? Are the stones still hot? 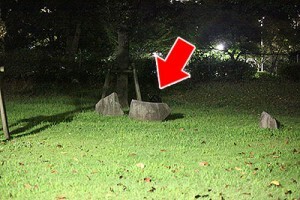 There is something hiding behind the stone. 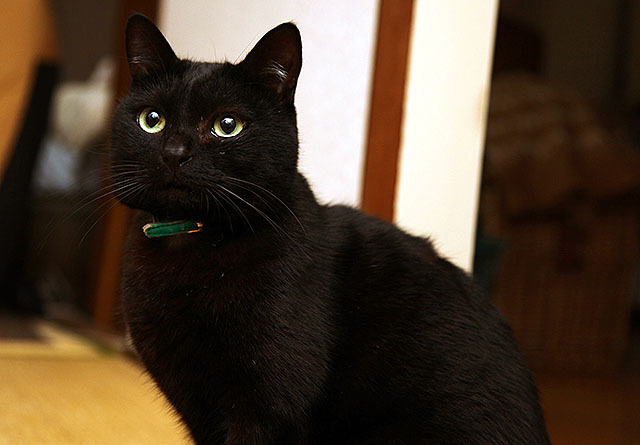 A cute black cat appeared from there. Don’ look at us with such lonely eyes. She has a thick coat and long luxurious tail. This cat with long flowing coat was so timid. 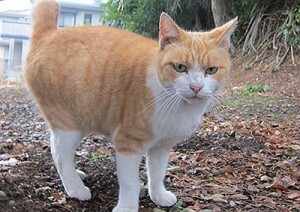 This cat was friendly. It looked about 2 years old. 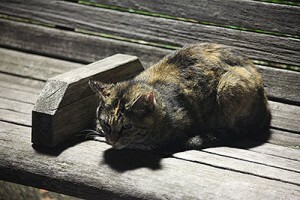 The cat sleeping on the bench. Umm…all of them are so cute. They were hanging around freely at a park, on the road or walls. What do they think about in daily life? Do they eat enough everyday? 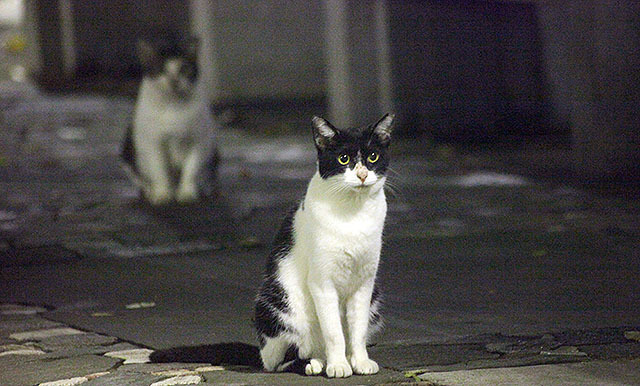 At least, these cats looked having enough food, and living at comfortable places. 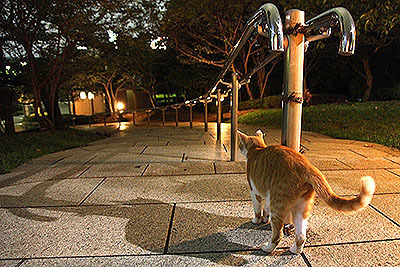 These are the cats’ photos with landscape. 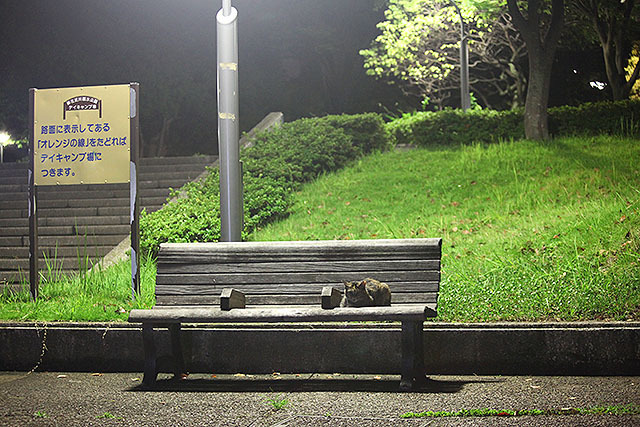 You cannot see their round eyes, but we would be grateful if you feel peaceful atmosphere at a park. 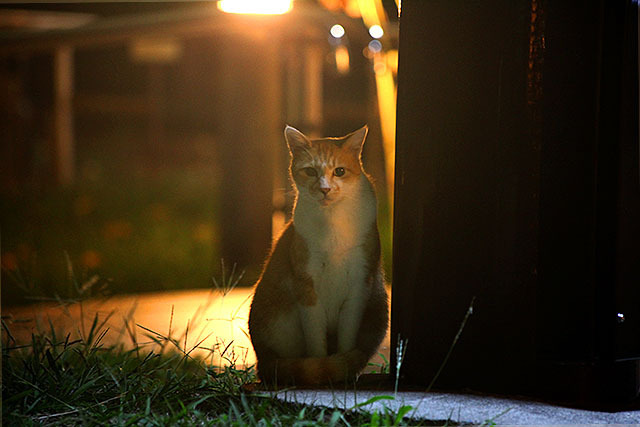 A cat under the light of the street lamp. It’s a kind of cool, isn’t it? 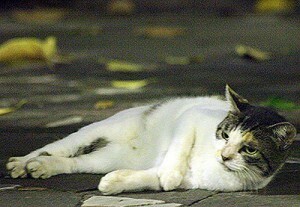 A calico cat relaxing in front of a closed shop. Sleepy cat under the light. 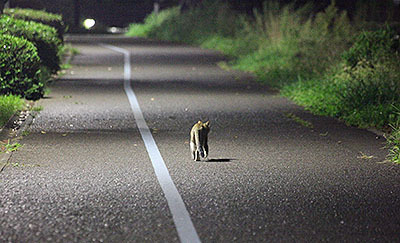 A cat walking around with his long shadow. Where are you going? 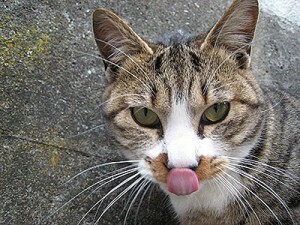 Well, we have seen many cute cats on photos taken by the writer. How was it? 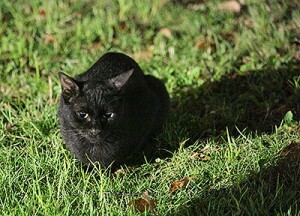 Of course they are cute all the time, now we know they are cuter in nighttime than in daytime because of their pupils. Also, the writer of this article takes really excellent photos, I think he is a good camera man. I really appreciate him for showing us such a beautiful pictures, just looking at these cats will heal my mind. How Far Can We Go Under the Tokyo Station?